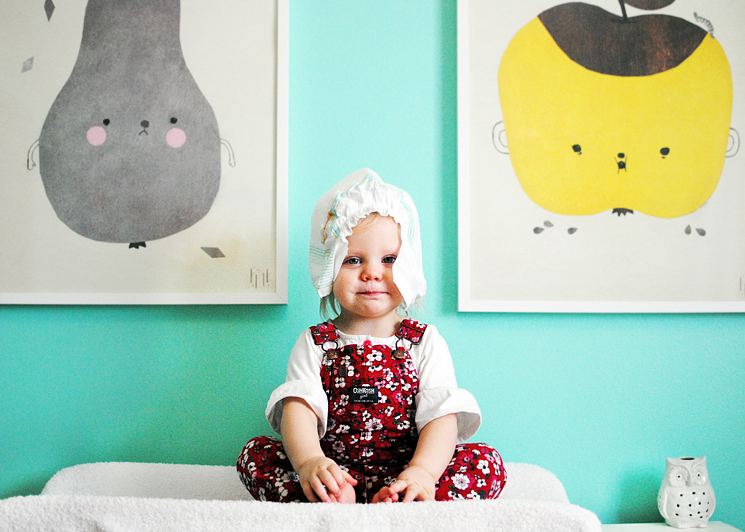 This post is written by me on behalf of White Cloud Diapers because I'm a sucker for cute things on my babies' heads. It's no secret that we've been living on a roller coaster since we put our house on the market in January. Whether it was being kicked out of our house for a showing or making the arrangements to see another home between the wee ones' nap and dinner time, there hasn't been much time for playdates or adventures. So when White Cloud Diapers gave us a chance to get out and play at a local indoor gym with other mommies and babies, the answer was a giant, resounding HALLELUJAH. And while the wee ones were indulging themselves with slices of cake as big as their heads, the mommies talked diapers. We talked leakage. We talked convenience. We talked about how diapers are so expensive that they should be studded with gemstones. And while we chatted, we had the opportunity to learn about a brand of diapers I had never heard of- White Cloud Diapers. Now, I've been pretty vocal about my feelings on diapers in the past. 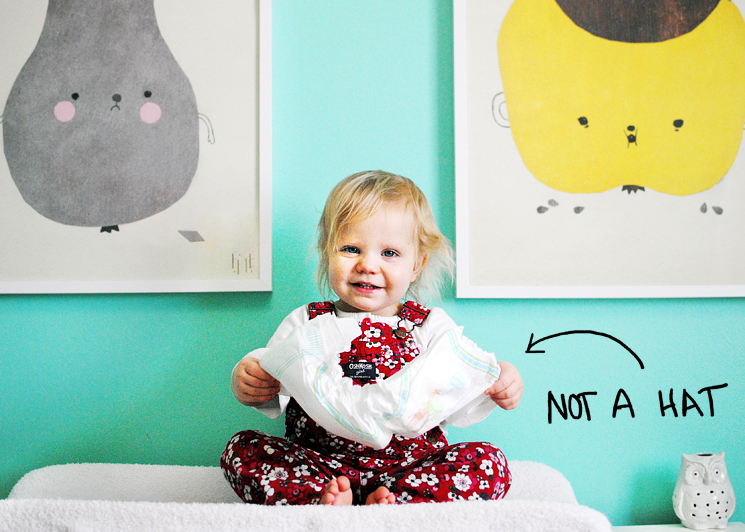 We love our cloth diapers, but between house showings, packing, and moving in a couple weeks? The truth of the matter is that I just can't handle the extra laundry at the moment so Evelyn has been in disposables for the better part of a couple months. My go-to brand is always Pampers because they've worked well in the past and their customer service just can't be beat but lately I've been a little... underwhelmed. I'm all for leakage protection but I don't want to have to deal with a super-saturated diaper before I've even brushed my teeth in the morning. Being that I was winding up with overflowing diapers and less than adorable remnants from my baby all over my hands each morning, I was ready to embrace, french kiss and propose marriage to any brand that would make 7am easier to swallow every morning. Compliments of White Cloud, I dove right into our new pack of diapers with Evelyn and waited for the leakage... but there was none. Sure, we had our share of diapers that just screamed MY DAUGHTER HAS A HEALTHY BLADDER! but there were no super-saturation leaks through the actual material of the diaper like our beloved Pampers. And to my surprise, on top of the improved absorbency, the materials were baby-friendly as well. Our little girl's sensitive skin wasn't irritated in the slightest from her new rear-end decor so it was a green light on all fronts. So for the next couple weeks until we're back in cloth diapers, we'll be buying White Cloud Diapers if, for no other reason, than because they make 7am more bearable. It's the little things. Diapering can be one of the biggest expenses in a family's weekly budget and a great performing diaper is a must-have for parents. In order to make this affordable, Wal-Mart has reintroduced their premium line of White Cloud diapers to address the needs of today's busy parents. White Cloud Diapers provide your baby the highest quality diaper with superior leakage protection, exceptional softness, and great fit. White Cloud Diapers are available exclusively at Walmart, where you can find low prices everyday on all your family's needs. Check them out today! This post is a sponsored post written by me on behalf of #WhiteCloudDiapers.